Two strong Presidential aspirants under the platform of the main opposition party, All Progressives Congress, APC, at the weekend clashed. 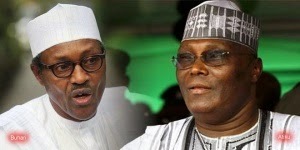 Vanguard reported that, Gen. Muhammadu Buhari and former vice-president Atiku Abubakar, shared divers opinion over the procedure for adopting the 2015 presidential candidate for the party. It was gathered that at the end of the party’s National Executive Committee, NEC meeting last weekend, the party was unable to compromise on the issue as supporters of the major aspirants held strongly to their positions. Aside Buhari and Atiku, who were reportedly at the head of the major divisions over the adoption of a consensus or the conduct of primaries for the adoption of the presidential candidate, Kano State Governor, Rabiu Kwankwanso and Sam Nda-Isaiah were also indifferent on the subject matter. Meanwhile, Edo State Governor, Adams Oshiomhole, whose aide was at the meeting was reported to have been mute on the issue since the governor is yet to officially declare his intention to run for president. According to a source within the party, Buhari and his supporters want a consensus on the ground that majority of the party positions across board were filled with consensus. They posited that if the consensus arrangement is jettisoned for any reason that a direct primary involving all 18 million registered members of the party be held. However, their opinion is strongly opposed by Atiku’s associates within the party hierarchy who claimed that a direct primary would be cumbersome and costly. Atiku’s supporters proposed what it called a Modified Direct Primary that would involve about 20,000 delegates choosing the party candidate. “The decision of our campaign to support the Modified Direct Primary is not because of anything but for its practical applicability. If you say you want direct primary, how can you get all 18 million registered APC voters to take part? That would mean you will be setting up a vote in every polling booth, doing the same thing as INEC is doing. It will be the same thing as a general election. Where do you have the resources, the manpower, the time and the security support for this?” Atiku said. Buhari and his allies who negated the proposal alleged that it would offer opportunity to easily woo or take over delegates hitherto pledged to other aspirants. They claimed that the introduction of full direct primary would limit the prospect of Atiku wooing the delegates unlike a modified primary that could see Atiku and his agents now in the field winning the number of delegates. “Having carefully examined our great party” the APC constitution, especially Article 20 and the Electoral Act 2010, one comes to the inevitable conclusion that it is better to adopt consensus in electing our candidates for House of Assembly, House of Representatives, Senate, Governor and presidential candidates and where it fails to adopt direct primary,” one of Buhari’s supporters who did not want his name in print said. It said when one considers the bitterness, rancour and bad blood indirect primary will most likely generate, it was safer to work towards a consensual agreement, adding that more than 80% of the ward, local government area and state congresses which produced the current executives of the party were conducted through consensual arrangement as well as more than 95% of the current National Executive Committee who were also elected via consensus. “We must at all times bear in mind that we are being hunted and that those who boasted to rule Nigeria for 60 years uninterrupted, are still hell bent to scuttle the yearnings and aspirations of Nigerians for genuine ideological regime change” he said. It would be recalled that former vice president Atiku Abubakar, on September 24, 2014 formally declare to run for the 2015 presidential election on the platform of APC, while Buhari is yet to officially do so although his posters are already floating in the street of Lagos.